Discussion in 'Classic Muppets' started by satay chicken, Feb 27, 2004. Well they do have those Palaside action figures. They show full-body versions of those characters. Maybe that might be of some help. If you can take screen captures from video games, Muppet Party Cruise also has full body pictures of all the characters you mentioned. google.com? Isn't that where if you type in Kermit the Frog, you get pictures of people standing still looking stupid, and recipies for green Jello? 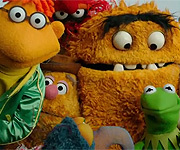 I was looking at pictures of the gang here: http://www.action-performance.com/Muppets/muppets.asp and was . 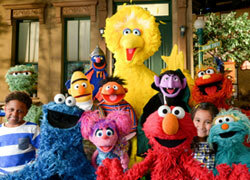 I checked that site out, it's nice has some good pics and info on the Muppets. Plus it has pics of the Muppet cars I have.